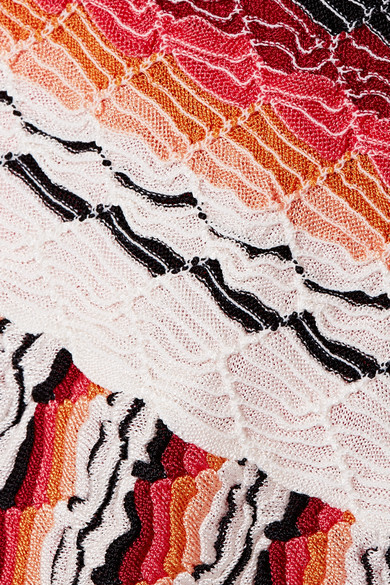 The vibrant pink and red hues of this crochet-knit Missoni Mare swimsuit remind us of the sunsets usually seen in tropical locales – exactly the destination it’s meant for. Particularly flattering on those with smaller busts, this mesh-lined one-piece has a plunging V-neckline, low back and high-cut sides. Layer yours under one of the brand's kaftans on your next getaway. Wear it here with: Chloé Sunglasses, STONE AND STRAND Ring, Chan Luu Cuff, Sophie Buhai Earrings.